A new proposal in Germany to move to a later school starting time is backed by many scientists, even if it runs against entrenched social norms that rising early is virtuous. BERLIN — It's not unusual for teacher Robert Rauh to struggle to keep his eyes open during the very first class of the day. It doesn't help that he has to arrive at the Barnim Grammar School in Berlin well before the school day begins. He even has trouble staying awake after having his morning coffee, and going to bed early doesn't help because he can't get to sleep until late. "I am an owl," he says, the term used by chronobiologists — the Greek word chronos meaning "time." People are called "owls" when they become sleepy only very late at night and in turn wake up late in the morning. People who get tired very early at night and get up very early in the morning are known as "larks," but they are in the distinct minority. Science tells us that working or studying at 8 a.m., which 70% of Germans are required to do, is simply too early. 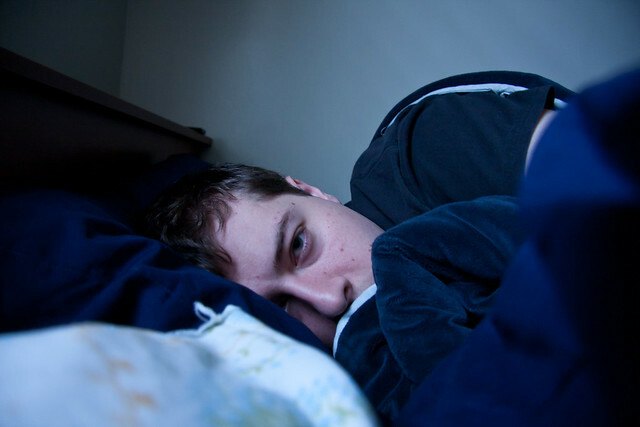 Getting up too early is actually bad for our health. The human body clock prescribes the times at which we feel tired and when we feel awake. If you're asleep or awake at these particular times, you can get the most restful sleep and your brain and body will function at their optimum capacity during waking hours. "Working hours go against most people's body clocks," says Till Roenneberg, chronobiologist at Ludwig-Maximillians-University in Munich and one of the most respected researchers in the field. He says Germans and most people live in "lark societies," where work and school begin at 8 a.m., a time that seems set in stone. People are forced to go against their body clock, which Roenneberg calls "genetic discrimination." Exams at school and university should not take place before 11 a.m. at the earliest, he says, which would eliminate the worst discrimination towards late risers. Many families have to wake their children quite early so that they can get breakfast before leaving the house for school. But this in turn means that they have to go to bed early to get enough sleep. The result of this routine is not having enough quality time, especially if both parents work. According to a survey by the Forsa Institute, 51% of Germans would support school starting later as long as it were guaranteed that younger children would be looked after until school begins at 9 a.m. There is a cross-party call now by several politicians for schools to make changes to the existing timetable. Family Affairs Minister Manuela Schwesig recently advocated a later school time, and her predecessor Kristina Schröder wants a pilot project to pursue the idea. "If we allowed lessons to commence an hour later," Schröder says, "we would take a significant step forward." Even a later start for primary school children should be taken into account because it would enable families to spend more quality time together. "Both parents often work full time," she says. "At least in the academic profession, the trend is going towards flex time, and starting work after 9 a.m. is quite common. Having breakfast together would become more likely if school started later. And it would not be as stressful in the evenings because children wouldn't have to go to bed as early as they would with an 8 a.m. start." For students who would still have to be at school before 8 a.m. because of their parents' work schedules, a relaxing quiet time could be scheduled in. Every school would be able to determine when classes start, but Schröder encourages parents to realize their full potential for wielding influence over such matters. "Many parents are not aware of the fact that every school is legally able to determine the time for the start of school lessons themselves," Schröder says. "No school administration could possibly ignore it if parents were to unanimously agree on a later start." Schröder received countless letters in reaction to her suggestions, not all of them friendly. "It's difficult to communicate that getting up later could support higher efficiency and is not linked to being lazy," she explains. "Getting up early is associated very closely with the values of honesty, uprightness and diligence," typically German virtues. Those who want to stay in bed for an extra hour sometimes come under suspicion of being lazy. Our perception of appropriate times for work and rest are based on eras when artificial light was scarce, expensive or not available at all and natural daylight had to be utilized accordingly. Humans followed their body clock. For millions of years, people rose with the sun, whose shortwave blue light causes us to feel awake. Darkness causes us to feel tired, and so we went to bed when the sun set. But the electric light bulb changed all that, says Horst-Werner Korf, chronophysician at the University of Frankfurt Main. "Since the invention of the electric light bulb, light has infiltrated the night," he says. It wasn't just the darkness of night that disappeared with the dawn of industrialization but also the light of day. Many people had to work underneath artificial lights in factories and their homes instead of by daylight. Later on, we added neon lights, mobile phone screens and computer screens that release blue light into our lives morning, noon and night. For the last 200 years, our inner body clocks have tried to come to grips with the new sources of light, with days that are too dark and nights that are too bright. This led to most people becoming tired later and also becoming awake later. "The loss of darkness has led to our body clocks running late," Roenneberg says. It has been scientifically proven that getting up too early causes ill health. But nonetheless, the late riser is not a socially acceptable human being. Rauh advocated for several changes, after he was made National Teacher of the Year, among them a later start to school. But that didn't go over well. Students fear a complete loss of spare time. Many also believe that a later start would insufficiently prepare them for the difficulties of the working world. They would have to get up early once they get a job, so they might as well start early in school. Parents agreed with their children, saying that getting up early had stood the test of time. That's one way of putting it when an entire society torments itself to live life in a rhythm that doesn't do anyone any good.